In 1876 Achille Savinelli Sr. opened one of the first stores in the world that sold tobacco and smoking articles exclusively. As it would turn out, this was a successful venture. Forty years later, his grandson, Achille Jr. was born, and, having shown a keen interest and remarkable talent for pipe making, would eventually open the Savinelli pipe factory in 1948. The pipes produced in this factory garnished high praise and helped to establish the Italian pipe making market formidable. 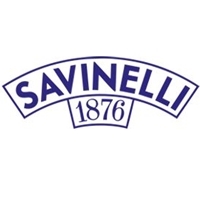 Presently, the Savinelli Company is operated by Giancarlo, great-grandson to Achille Sr. The original shop, built near Piazzo Duomo in Italy, continues to operate to this day. Making around 150,000 pipes annually (and thousands more that are sold as seconds, or made for other brands), the name is well known. They invented a triangular balsa filter (which fits in a 6mm tenon) and their pipes have a rather even number of vulcanite and acrylic stems. Not all of these pipes are 6mm, though, when they are it is noted in the title. The vast majority are machine made, but there are some hand made pieces as well - the Autographs. The company produces many lines and series of pipes shapes that are either smooth, sandblasted, rusticated, or a mixture of these finishes.